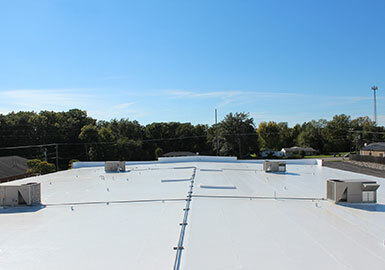 The Flat Roof Company offers a full range of flat roof services and products for commercial and industrial buildings in the metropolitan St. Louis area. 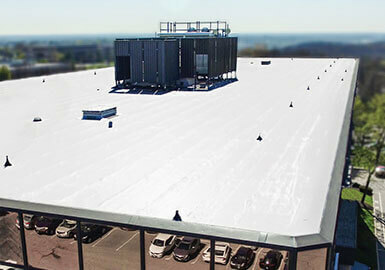 In fact, we offer roof installation, repair, overlays, and restoration for commercial or industrial buildings. Should your building require a particular type of roof we are also able to install and service TPO and modified bitumen, built up roofs (with or without gravel), EPDM Rubber roofs (with or without ballast rock), and PVC roofing based on your needs and allocated budget. With a comprehensive selection of flat roof services and roof types to choose from, we are able to service your commercial or industrial roof, regardless of the project. If you are unsure what service or roof type is best-suited for your building, our roof technicians can help you develop a personalized project plan. 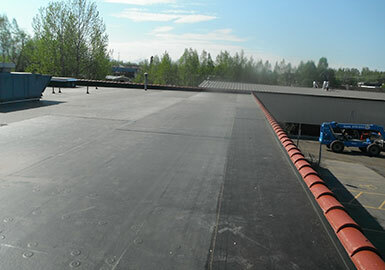 Our highly regarded inspection and construction process for commercial and industrial roofs guarantees that we can find the perfect solution to any flat roof situation. Each roofing project is complete using a 3-step process. First, our professionals will carefully inspect your commercial or industrial building for FREE to evaluate the condition of your current roof, and what professional flat roof services you may need. After we provide our analysis, we will explain the appropriate solutions for you as well as how each will protect your roof for years to come. We will then begin servicing your roof with the best materials in the industry and be available to assist you at any time along the way. 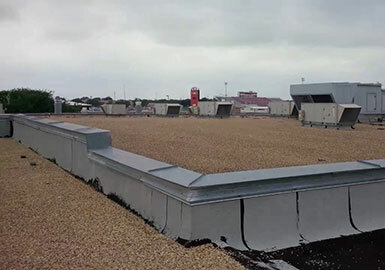 After our flat roof services are complete, we will perform an evaluation to help develop an effective repair and maintenance plan for the future, to best preserve the life of your business’ newly renovated roof. Additionally, with a leak-free guarantee, you’ll receive warranty coverage for select roofing services to ensure you’re completely satisfied with our work. 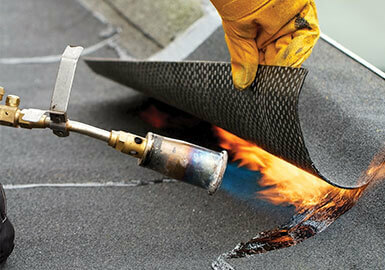 Schedule a free evaluation today and let us service your commercial or industrial roof.